April Fools’ Day is a fun tradition of fooling others into believing something that isn’t true. It’s mostly harmless and in good fun. It’s less harmless when this becomes the standard practice for giving feedback in the company. Yet all too often, companies inadvertently set up feedback mechanisms that encourage foolish feedback – the type that is inaccurate, incomplete, and useless. The below outlines two steps your company can take immediately to improve the accuracy and completeness of feedback, and cut down on the likelihood that your feedback is a constant April Fools’ joke. Make it anonymous: Many companies refuse to allow for anonymous feedback in 360s or calibration discussions. They argue that if you aren’t willing to own up to your feedback, then you must not feel much conviction behind it. Or they point out that anonymous feedback doesn’t allow for follow-up questions, so it becomes less informative. Or they’ll assert that if they strive to be the sort of company that practices Radical Candor, then they want to encourage people to challenge one another directly. These criticisms all point to valid drawbacks of anonymous feedback mechanisms. But there is one positive that I believe makes such mechanisms worthwhile: you’ll actually hear more feedback! Remember, there already exists the option to provide non-anonymous feedback. I can walk up to anyone in my company at any time and share with him my feedback, or send him an email documenting it, or talk to his boss if appropriate. So, you are likely already getting the feedback that people are comfortable providing without the protection of anonymity. But, chances are this isn’t all the feedback! 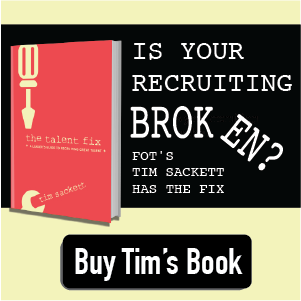 More likely, you haven’t established such complete and perfect psychological safety in every corner of your company that every single employee is comfortable with absolute radical candor. I’ll bet there is at least some feedback that is going unsaid because the provider is worried about being identified. This is the feedback you hope to get by offering an anonymous option. In a typical month, what % of the feedback that I have for this person do I actually share with him/her? Wouldn’t it be interesting to know what percentage of the feedback people have about you is being shared with you? You could determine how open people consider you to feedback. Plus, this will help you determine how reliable and complete your feedback really is! 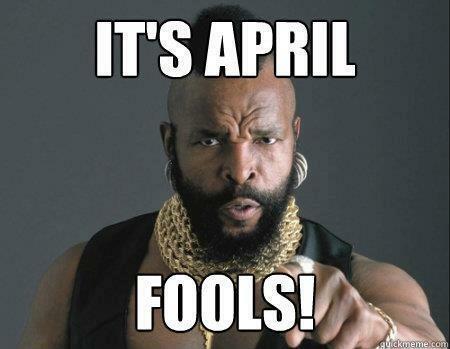 Restrict April Fools’ jokes to April 1st. The rest of the year, strive to get accurate, complete, and timely feedback flowing throughout your company. These tips above should help.